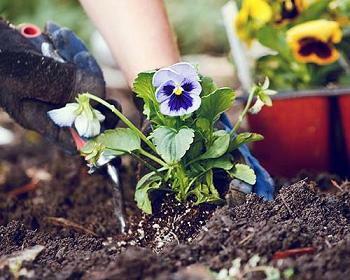 Your soil can harbor natural soil toxins. SoilCleanse works to remove and prevent natural soil toxins. and protect multiple types of soil. SoilCleanse works to break naturally occurring toxins down into their rudimentary parts. When these parts are separated they become harmless and some may even become beneficial. The parts are bound to the soil where the beneficial ones can be utilized an the others are locked away. SoilCleanse encourages beneficial biological activity that will help open the soil or keep porous soil open and aerated. Aerated soil helps prevent the growth of destructive and potentially toxic anaerobic organisms. When excess nitrogen has been applied to a soil it can cause nitrate toxicity. This can impede essential biological activity in the soil and if the toxicity becomes high enough it can destroy biological activity. This results in poor plant growth or no plant growth. SoilCleanse works to restore biological activity and process the toxic nitrogen. It returns it to a usable nutritional state for plants to use and stores it in a usable state in the soil. Excessive salt can enter into the soil from irrigation waters and other sources where it is toxic to gardens and lawns. SoilCleanse works to break the salt down and buffer the elements into the soil. In this state it cannot dehydrate plant roots. Soil toxins can put soil pH out of balance. 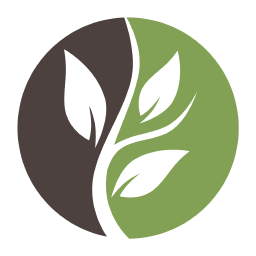 SoilCleanse improves the environment of the soil and as the environment of the soil to improve is so that it can sustain more microbial activity. Beneficial microbial activity naturally moves soils toward a neutral pH. It does this regardless of which direction the soil is out of balance. The more activity that occurs, the more the soil moves to a neutral pH. SoilCleanse is a liquid solution that helps improve soils that have become unproductive due to soil conditions that encourage natural toxins to form up in the soil. It helps improve the environment of soils and encourages biological activity in the soil. This helps improve soil conditions that can prevent toxic producing organisms from forming. It also works to process toxins that do form or are otherwise introduced into the soil. SoilCleanse also helps reduce nitrate toxicity and other fertilizer imbalances that impedes beneficial biological activity. The biological activity encouraged by SoilCleanse helps reduce environmental hazards from excess fertilizer use including the buildup of chemical fertilizer salts. How often should SoilCleanse be applied? toxins that may have formed over the winter months. SoilCleanse 8 oz. Covers up to 2723 Sq. Ft.
SoilCleanse 16 oz. Covers up to 5445 Sq. Ft.
SoilCleanse 32 oz. Covers up to 10890 Sq. Ft.
SoilCleanse 1 gal (128 oz.) Covers up to 43560 Sq. Ft. The 1 gallon bottle will cover an average 43560 sq. ft. lawn or garden. Give it a try today.